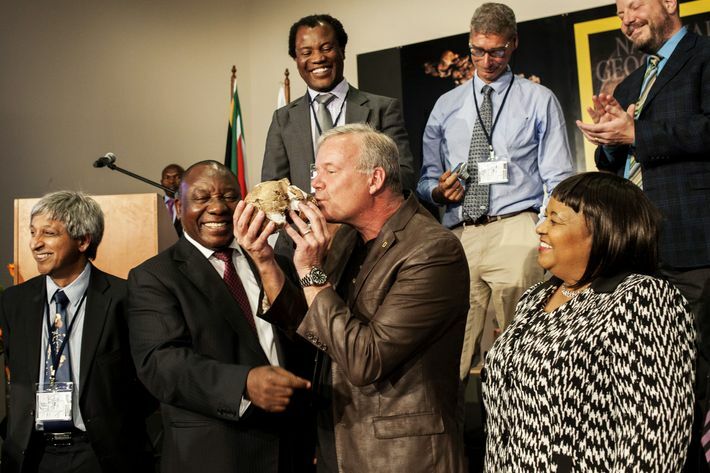 In a cave called Rising Star in South Africa, American paleoanthropologist Lee Berger and his team found more than 1,000 bones and bone fragments from at least 15 individuals — children, babies, adults, and the elderly — from a new, never-before-seen species over the past two years. 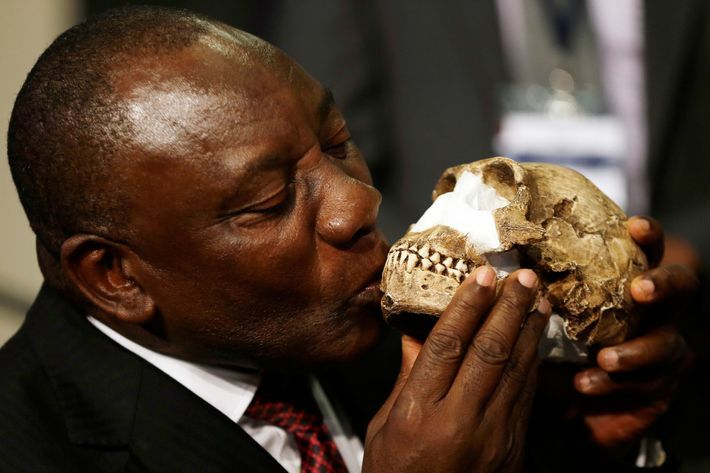 Homo naledi — naledi means “star” in Sesotho — appears to be a previously undiscovered skinny human ancestor, about five feet tall, with modern-looking toes and teeth, a very small brain, and legs meant to travel long distances. This discovery seems far more humanlike than upright-walking “Lucy,” from the genus Australopithecus, who lived around 3.2 million years ago. Given the number of bones in the cave, scientists think Homo naledi were like humans in one other crucial, unexpected way — it seems like they could have had a ritualized tradition of disposing of the dead. And given the darkness of the cave, they might have had to use fire to do it — unless there was another entrance the scientists have yet to find, allowing the bones to tumble into the chamber as if through a remains garbage disposal. The team also considered that the individuals found may have died accidentally, after getting trapped in the cave, washed away, or eaten. However, given the pristine condition of the fossils, that made less sense than the species simply burying the dead on purpose. The National Geographic Society, which helped with the expedition, was also insanely excited about the discovery. 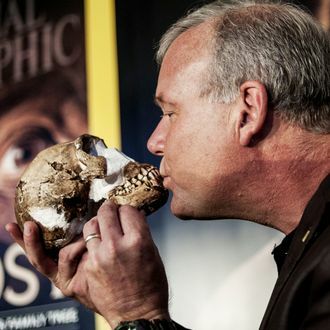 “If we learned about a completely new form of hominin only because a couple of cavers were skinny enough to fit through a crack in a well-explored South African cave, we really don’t have a clue what else might be out there,” executive editor Jamie Shreeve writes in National Geographic magazine’s upcoming issue. “This stuff is like a Sherlock Holmes mystery,” Bernard Wood at George Washington University told the National Post.